ACME Fine Art is delighted to announce the Spring exhibition of important oil paintings by one of New York School's most distinguished practitioners, Jack Tworkov. The exhibition will feature paintings from the final 15 years of Tworkov's distinguished career. It will open with a reception from 6 to 8 on the evening of Friday, 28 March, and will be on view through Saturday, 3 May 2008. Jack Tworkov was born on the cusp of the twentieth century in Biala, Poland, emigrated to the United States in 1913, and went on to become one of America's most important and influential modern artists. Tworkov is perhaps best known as one of the original New York School painters. His arrival at avant-garde action painting as his means of expression came following a perhaps surprisingly traditional education that included study at the National Academy of Design with Charles Hawthorne, at the Art Students League with Boardman Robinson and Guy Pene du Bois, and in Provincetown Massachusetts with Ross Moffett. 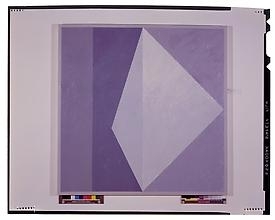 Although he had exhibited with the Societe Anonyme in New York as early as 1929, and was employed in the easel division of the WPA from 1935 to 1941, significant notoriety for Tworkov did not come until the mid-1940s in conjunction with his exploration of abstraction. Following a hiatus from painting from 1941 to 1945 to support the war effort, Tworkov began exhibiting his abstract work at the Egan Gallery in Manhattan in 1945. Now famous as one of the premiere galleries to exhibit the work of abstract expressionist artists, Egan also represented Franz Kline, George McNeil, Willem de Kooning and Giorgio Cavallon during this period. Egan mounted regular solo exhibitions of Tworkov's work between 1945 and 1954, and it was during this timeframe that Tworkov developed his mature abstract expressionist voice, thereby establishing himself as one of the few true first-generation abstract-expressionists. Today, Jack Tworkov's work is in the permanent collections of the Museum of Modern Art, Solomon R. Guggenheim Museum of Art, Pennsylvania Academy of Fine Arts, San Francisco Museum of Modern Art, Baltimore Museum of Art, and the Phillips Collection, to name just a few. The Whitney Museum of American Art, the Solomon R. Guggenheim Museum, the Baltimore Museum of Art, and the Walker Art Center, Minneapolis, MN have all mounted solo exhibitions of Tworkov's work. (Jack Tworkov's complete curriculum vitae is available on the gallery web-site.) ACME Fine Art's first solo exhibition of paintings by Jack Tworkov will feature eleven important late canvasses that date from between 1971 and 1981. Tworkov's work from this period is commonly referred to as geometric or minimal, and it has been often misinterpreted as a repudiation of abstract expressionism; however, while it is true that the artist did believe that the painterly self-expression of the 1950s had become hackneyed, his late paintings were more about the addition of the intellect, vis-à-vis formal structure or planning, than about the elimination of the subconscious impulse. In an interview with Phyllis Tuchman published in Artforum magazine in 1971, Tworkov stated: "I think that it's a very important aspect of an artist's work to learn from the unexpected, to learn from accident. But I believe for myself in a kind of reconciliation between that and thoughtfulness…I think that both are integral processes, that the problem is to keep the painting open to both impulses." Quotations such as this, selected from reviews, essays, and interviews, all written when the artwork was contemporary, accompany the reproductions in this announcement in an effort to amplify understanding as it relates to the artist's stated intention to integrate "thoughtfulness" with "Impulse." ACME Fine Art's exhibition of artwork by Jack Tworkov will open with a reception from six to eight on the evening of Friday 28 March 2008 and will be on view through 3 May 2008. ACME Fine Art is located at 38 Newbury Street, Boston. For further information please contact the gallery at 617.585.9551, or via e-mail at info@acmefineart.com.